With luxury pure white finish and a mirror inserted, this is a new take on the standard designer radiator which perfectly combines style with high heat output as well as mirror function. 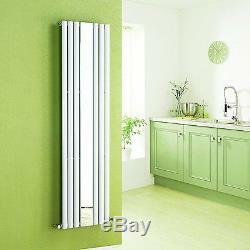 Manufactured from the finest quality steel and with an output of 3953 BTUs this designer radiator will surely get a stylish addition to your room and heat your room to a comfortable and warm temperature. It is suitable for use in bedroom, kitchen, bathroom and living room etc. (go through acid washing & phosphorization before painting). High-grade low carbon steel construction. 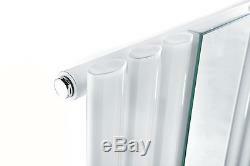 Suitable for all central heating systems. 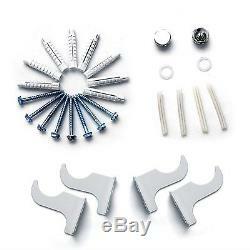 Material: high-grade low carbon steel measured 1.5mm in thickness. Number of tubes: 6 vertical oval column tubes. Testing: neutral acid salt spraying test; visual test; pressure test; plating layer thickness test. Accreditations: complies with BS EN 442 standards & ISO9001:2008 regulations. 1800(H)499(W) mm. White triple layered coated finish. Living room, kitchen, bathroom, bedroom. We are a major online bathroom retailer based in UK. Founded in early 2009, we aim at being one of the largest retailers of branded and in-house designed bathrooms & accessories. If you have a question about a product that can be ordered on our website or regarding an order you've already placed, please select from the most appropriate option below, providing as much detail as possible, including. Send us a message and we'll get back to you as quickly as possible. If you have a question about shopping online at Seasky-mall, please select the topic below for our frequently asked questions. When will my order be delivered? We don't accept bank transfer, cash or check at the moment. Will the item come with a VAT receipt? Then you can print the invoice by yourself. I have received an incorrect item? If you have received an incorrect item, please contact customer service to arrange for the correct item to be delivered. Each item will be carefully packaged and distributed to our courier after being dispatched from our warehouse. Please assure someone is available at the deliver address to take collection of your order. If you change your mind.. If there's a fault with the product..
Make sure you check your items carefully for any signs of damage before they're used or installed. Please describe the fault in more detail and provide more pictures as possible. This can help to solve the case better and sooner. You will find one right for you. Bath Mixer Taps With Shower. Bath & Basin Tap Sets. Spring Loaded Extendable Net Voile Tension Hanging Shower Curtain Rail Pole Rod. Chrome Brass Mono Bathroom Sink Basin Mixer Tap Faucet Single Handle Lever. 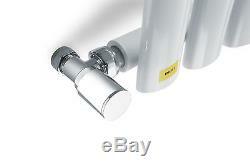 Spring Loaded Extendable Telescopic Net Voile Tension Bath Curtain Rail Pole Rod. Victorian Traditional Chrome Bathroom Twin Basin Sink Mixer Bath Shower Filler. 70-300cm Spring Loaded Extendable Net Voile Tension Shower Curtain Rail Pole Rod. Bathroom Bath Corner Shower Storage Basket Caddy Tidy Organiser Wall hung. Small Compact Cloakroom Basin Bathroom Sink Left Wall Hung Oval White Ceramic. 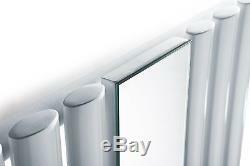 Spring Loaded Telescopic Extendable Tension storage shelf for Bath Wardrobe. 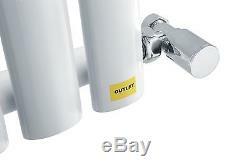 White Brass Bathroom Cloakroom Basin Sink Monoblock Mixer Tap Single Lever Matte. 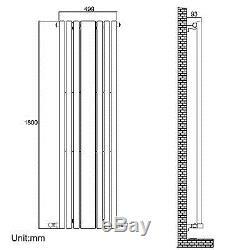 The item "Modern Designer Vertical Oval Column White Central Heating Radiator with Mirror" is in sale since Thursday, June 23, 2016. 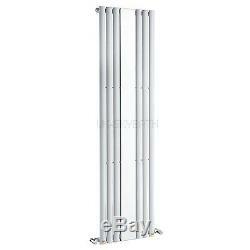 This item is in the category "Business, Office & Industrial\Building Materials & Supplies\Plumbing\Radiators & Towel Rails". The seller is "uk-skybath" and is located in UK. This item can be shipped to United Kingdom.